We may be known for our bagel sandwiches, but did you know our delicious ingredients can be sandwiched in between some of our house made bread too? Our bakers are hard at work preparing delicious loaves of your favorite breads in our new 5,000 square foot bakery in the North Kenton neighborhood for your sandwich needs! 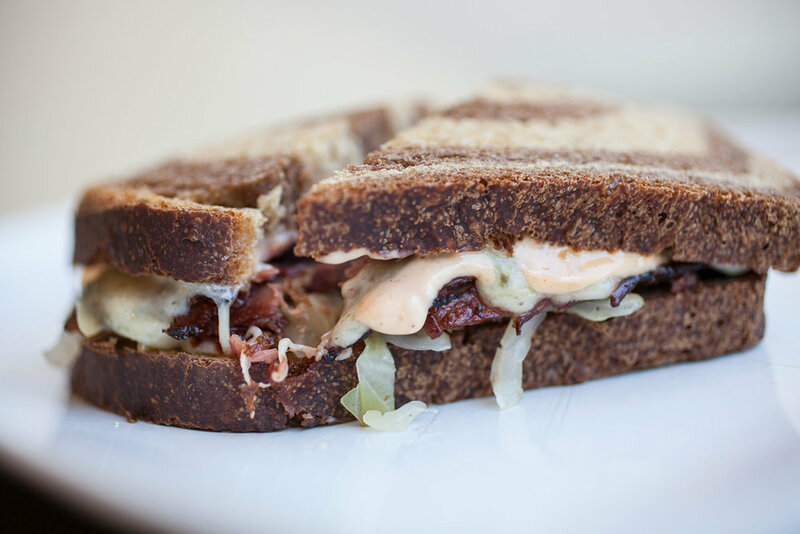 Try our Reuben Nevius sandwich on our vegan Marble Rye Bread made with house-cured pastrami, house-made sauerkraut, Gruyere cheese, and Russian dressing. Bowery Bagels has been certified Kosher Parve by Oregon Kosher. All our bagels (excepting MSG) are Kosher when purchased from Bowery Bagels or one of our retailers, only if whole and uncut.